A well furnished hotel, we are known for our efficient hospitality services. 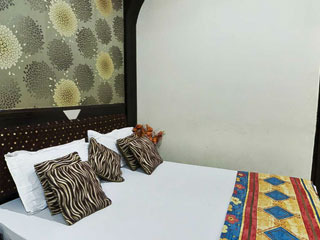 Located in the centre of Delhi, we offer the advantage of being easily accessible from various parts of Delhi. Our well furnished hotel rooms have plush interiors and various facilities that make you feel completely at home. Our hotel offers a range of services that include hotel services, accommodation facility, tour package planning, car rental services, online booking, Wi- Fi facility, Internet facility and reception services. We are also empowered with our experienced and well mannered hospitality staff that provides efficient services to our guests. Our hotel staff work together to render best services that give our tourists 100% customer satisfaction to the clients.